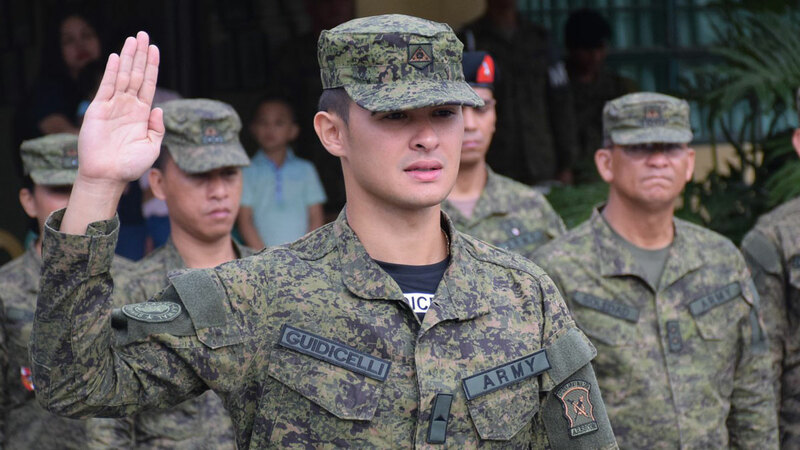 “Matteo Guidicelli, Ivan Carapeit and Luis Ruiz were enlisted as Private whose rank were donned by Major General Bernie Langub, ARESCOM Commander during the flagraising ceremony. “The new reservists will soon be taking trainings in order to prepare them in the event of natural disasters and national emergencies. “Also attending the activity were the family members of Guidicelli and Carapeit who are all supportive of their son’s chosen career to serve the country. “The Army Reserve Command is the unit whose primary mission is to recruit, motivate, administer, train and equip reservists in the Armed Forces of the Philippines. “I would like to thank the people that have been very supportive.